Wow! 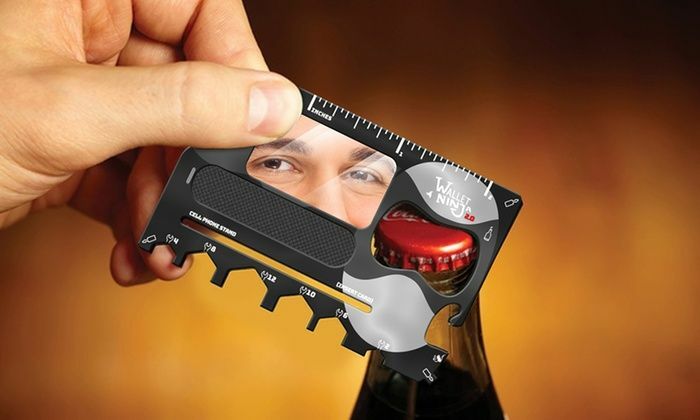 When we saw this cool multi-tool, we thought, what a great thing for our customers to add to their wallets! 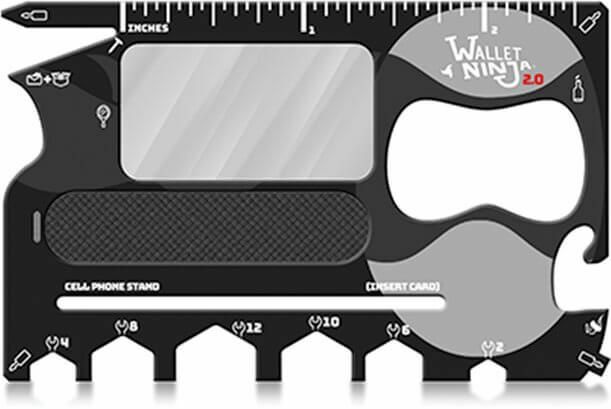 Since we're big fans of smart functionality, we are now offering the Wallet Ninja, a credit card-sized multi-tool by Vante Brands. It's crafted from 4x heat-treated stainless steel, so it's extra strong! According to the manufacturers it's also resilient against common wear and tear issues with metal based tools like rusting and bending. 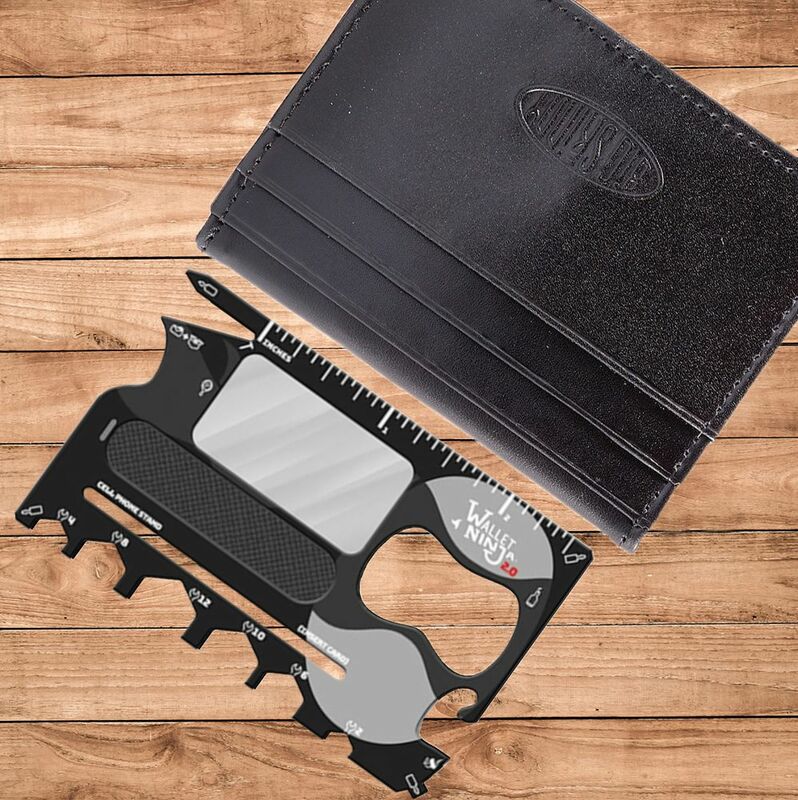 This tool can take a beating and will remain in working condition no matter how often your use it thanks to its smart and sturdy construction. Superb durability is a must since this handy multi-tool is so versatile. 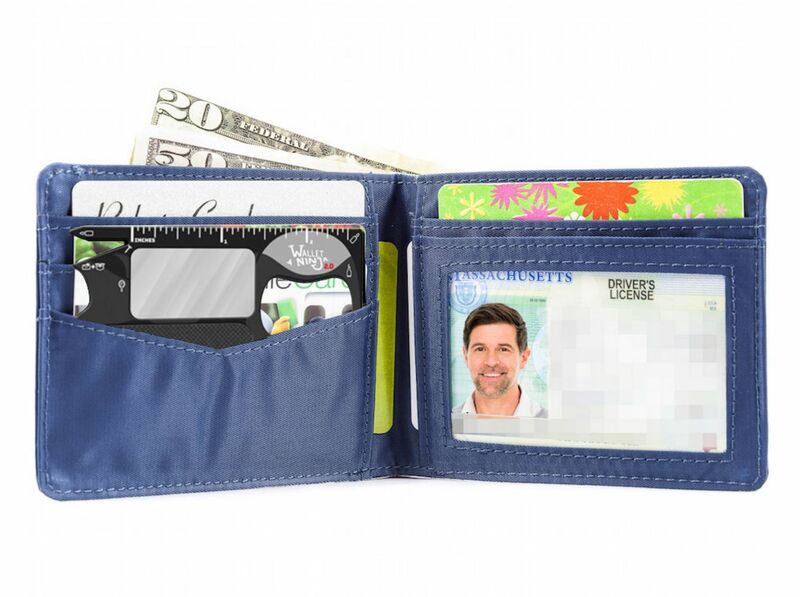 It has over 10 different functions all in one credit card-sized package. This little multi-tool can easily slip into the plastic card pockets of any one of our super skinny wallets. The manufacturer guarantees this multi-tool is fully capable of staying in tip top shape even over a lifetime of use. This is a fantastic product for the hobbyists, campers, road trips, travellers, professional and amateur handymen and women, mechanics and anyone else you know that loves to work with their hands and fix things themselves. It comes in black and is extremely lightweight, weighing in at only about 1.6 ounces. It's a fabulous stocking stuffer!